(Bloomberg) — Amsterdam’s first female mayor is rethinking its centuries-old red-light district. The Wallen district sits in the oldest part of the city and at its creation in the 14th century was where free women, mostly Dutch, served sailors and traders without shame. Now, with more than 370 windows displaying scantily-clad women jeered by drunk tourists and photo-taking oglers who dehumanize them, the area, one of the biggest tourist draws in the city, is no longer fitting for a modern city, says Femke Halsema. While the city intends to keep prostitution above-board and safe, the review of the district is part of a broader effort to spread visitors across the city, and owners of the window brothels are increasingly willing to consider it. 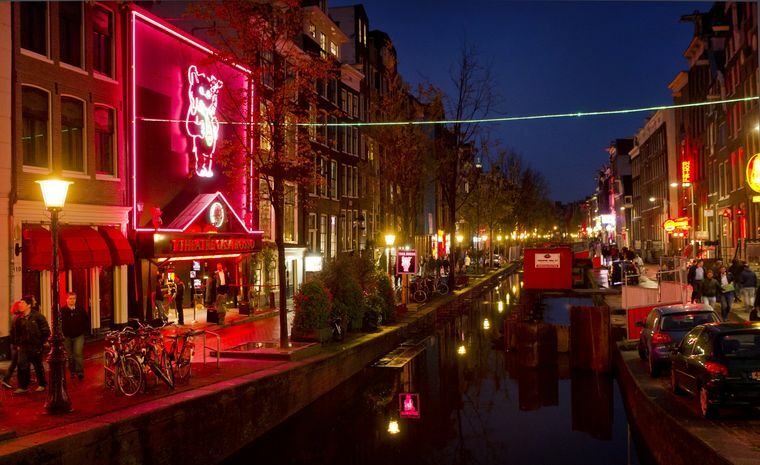 With the city of about 850,000 drawing 18 million tourists in 2016 — the latest available figure — Halsema says redefining the red-light district will both de-congest the canal city and revive the Dutch capital’s historic zone.